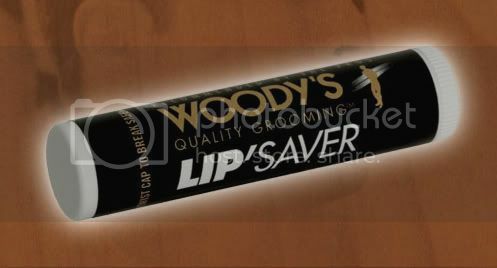 Woody's Quality Grooming LIP'Saver just might be my favorite lip balm. Goes on smooth and easy, lasts a long time and not shiny at all. Lips feel good. This aloe based lip balm provides smooth lips and an SPF 15 protection. It’s an easy way to shield your lips against sunburn, dryness and windburn. Save 20% off all Woody's Quality Grooming products including LIP'Saver at www.hairflix.com.